Just I stumbled upon this raritie. An orchestration of the String quintet No. 2 by Brahms. Originally, Brahms intended his quintet like a symphony, but for some reason he changed the plans and decided to settle on the chamber form. 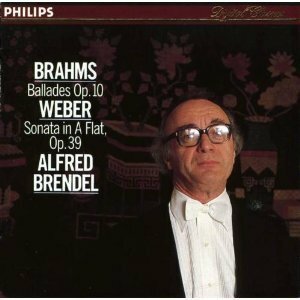 I wish Brahms had composed another magnificent symphony. Unfortunately, the 4th movement is missing. The Double Concerto is another piece he originally intended as a symphony, before changing his mind. I find Ballades, Op. 10 quite enjoyable. Listened to these two versions recently. Does anybody have a favourite version of this composition? Dejan Lazic will be the piano soloist at the Finnish premiere of his adaptation of Johannes Brahms‘ Violin Concerto for piano and orchestra on 16 March 2018 in Tampere. Lazic will be accompanied by the Tampere Filharmonia conducted by Tung-Chieh Chuang. Who can/will listen and report? “I have always been fascinated by the idea of making a version of the Brahms Violin Concerto for piano and orchestra in order to give pianists an equal opportunity to interpret this wonderful music..."
It's not an equal opportunity. The man wrote it for violin. It's quite clear he understood how to write a piano concerto and that wasn't his aim. Leave it the hell alone. 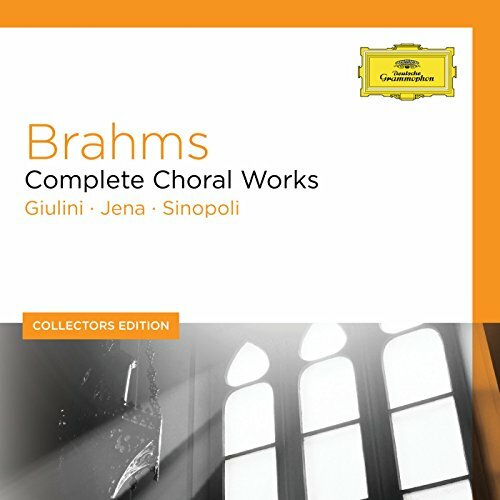 Maybe I became something of a partisan, as a result of singing Ein deutches Requiem early on in my choral experience; but I have found, over the years, Brahms significantly richer, and more gratifying, in his choral writing than either Mendelssohn or Schumann. The language or "equal opportunity" is really ridiculous in this context. 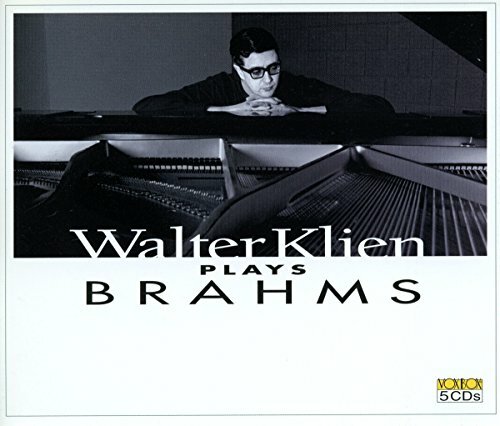 While in the case of Brahms one could argue that with two piano concerti and two involving the solo violin these instruments are equally covered there are altogether considerably more great and famous concerti for piano than for violin so the situation is very far from "equal opportunity" but in pianist's favor! Exactly. My general dislike for arrangements is well established. However, I can at least understand why performers of instruments with a relatively sparse repertoire would be interested in them. But for a pianist to be acting as if there's a need for this is just silly. And yes, there are indeed keyboard versions of certain violin concertos. But I also have a strong suspicion that the motives of many of these modern arrangers are somewhat different to, say, Bach. I suspect it's all about trying to make oneself stand out in a crowded field, playing something that no-one else is playing. I am suspicious of such arrangements like the piano version of a violin concerto. Partly because, as you say, the reasons behind them are different than in the case of piano reductions or orchestrations of piano music etc. Partly because a piano is really very different from the violin. Exactly. My general dislike for arrangements is well established. That is a rough blanket. My feeling is along a different axis. If it is wrongheaded to consider and interpret the music of Bach, as if Brahms had written it, the reverse is probably also true. a piano is really very different from the violin. Precisely. That's why (while in principle not opposed to transcriptions and arrangements) I find it hard to understand how and why the orchestral parts have been left unchanged. By this token Lazic could take any concert by, say, Vieuxtemps, transcribe the violin parts for piano, leave the orchestration unchanged, and lo and behold!, there he has a new piano concerto that he and only he can (or better said will) play. Instead of such useless gimmickry Lazic could give us his own piano concertos. I suspect it's all about trying to make oneself stand out in a crowded field, playing something that no-one else is playing. [...] I suspect it's all about trying to make oneself stand out in a crowded field, playing something that no-one else is playing. Brahms is one of my favourite composers. As well as loving his compositions, I'm obsessed with his life and his involvement with Schumanns. My favourite work is the "Double Concerto" which was composed for Joseph Joachim as a piece offering after a fallout when Brahms took his wife's side in divorce proceedings. Read a book recently called "Trio" by Boman Desai which was a novel biography about the three. The clarinet sonatas, Judith! The clarinet sonatas! You'd think, but no. He still wants the brand name. As to my general dislike, part of it stems from how unlikely it is that an arrangement is done with thought and care and recognition of the difference between instruments. As others have already noted, there's a real problem with switching between such fundamentally different instruments such as a violin and a piano. My view on this was in fact significantly shaped by reading about Beethoven's own arrangement of one of his piano sonatas for string quartet. He complained about how poorly done most arrangements were done, and when he did do one himself he changed the key, the textures, and in a couple of places he added or cut bars. Basically, any arranger has to prove to me that they're in the small percentage that have a clue about what they're doing and they're achieving some musical purpose. The same goes for remixes and cover versions in popular music. Yes, it can be done well... but it's done well so rarely. I suspect Lazić was also motivated to transcribe the Violin Concerto because the two Brahms piano concertos are very badly and unidiomatically written for the piano—although pianists who happen to have two right hands would find them totally practical >.> The Lazić arrangement does sound fairly pianistic, although I haven't seen a score and think better could have been done. Still, I'd rather hear a revision of the solo part of one of the two extant piano concertos, as Siloti et al. used to do with composers less sacred than Brahms (e.g. Dvořák, whose piano concerto is similarly difficult). I only have the 'Works for Solo Piano' box featuring Katchen. I'd like another box to contrast that one. Any suggestions? I remember one (or two?) years ago Todd posted in the 'What are you listening to?' thread of a fairly recent set, but I can't remember the name of the pianist. I'd prefer a box rather than individual CDs, but I'm prepared to compromise. Cheers. Barry Douglas, perhaps? 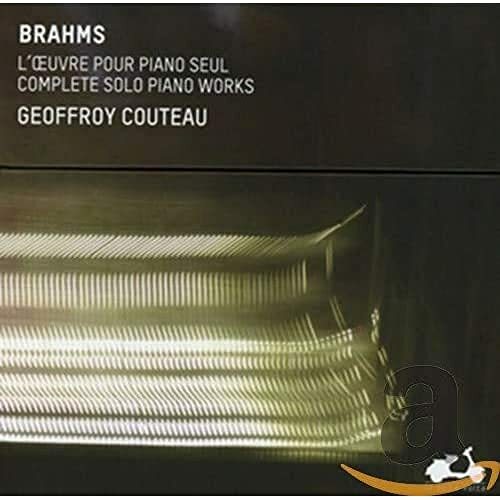 Couteau's cycle, recorded over the course of 2015, 10 years after he won First Prize in the Brahms International Competition in 2005, looks good too. On La Dolce Volta, like Dana Ciocarlie's complete Schumann. Yeah, Couteau - I think that's the one oor Todd posted, although maybe the cover art was a 3/4 shot to camera right? I don't need an alternative interpretation for the sake of it, but I've lived with the Katchen for so long I believe it would be healthy to consider an alternative. Thanks for the reply. e: Schumann - that's another question - and one I intended to aim at Mirror Image - about a symphonic cycle beyond my sole Sawallisch set. But I'll post in the Schumann thread when I'm ready to purchase.